This is a version of an article that appeared in my gardening column for Country Smallholding magazine in April. In certain permaculture circles it might be said that if something is damaging your plants, it’s less of a pest problem than a predator deficit. The idea being that in a balanced eco-system the likes of slugs, snails, aphids and weevils don’t get out of control and do too much damage because their numbers are kept at bay by other creatures that consider them a tasty snack. This natural approach in an eat-and-be-eaten world has a lot to offer. 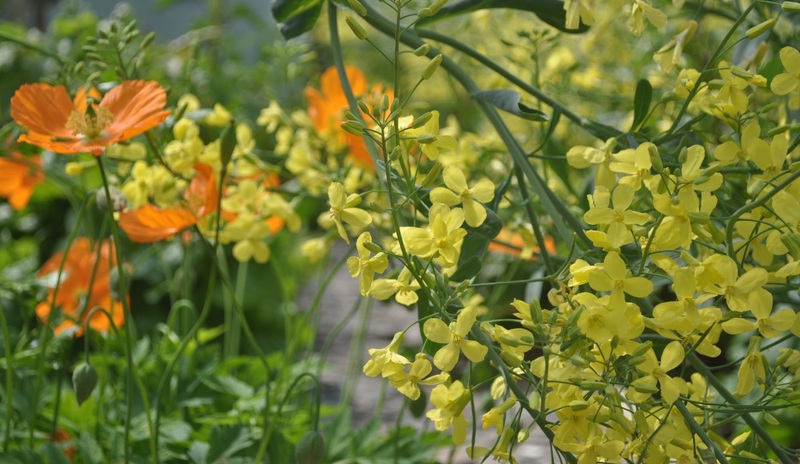 Obviously some years’ weather conditions mean that certain creatures will proliferate over others so some intervention may be required but certainly, encouraging a wider range of wildlife onto your plot reaps multiple rewards. Not onto does it ensure you have your very own army of predators which will work hard on your behalf, munching their way through creatures that could cause damage. It also makes your outside space a much richer and more rewarding place in which to be. 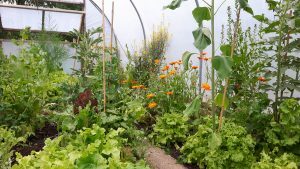 I experimented a few years back with exactly how wild I could go in on the polytunnels. Not me personally, I should point out, it’s the plants I’m referring to here. 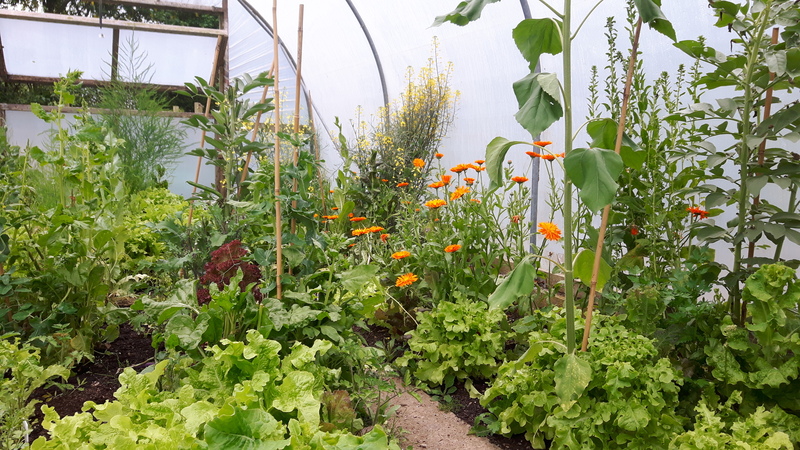 I let the space get extremely overgrown with an array of crops (including extremely munch able salad leaves) planted amidst self-seeding flowers and fruits. With a pond in the corner and many ground beetles, amphibians, lady birds and their predator ilk in residence, the produce absolutely thrived. Even the smallest pond can do the trick. On the most basic level you can use a washing up bowl buried into the ground. 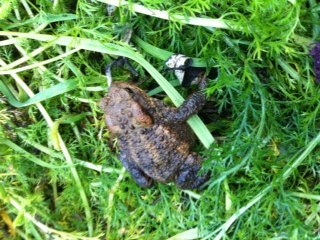 Surround it with rocks and plants and you’ll be helping to encourage frogs, toads and newts in. These creatures are powerful allies in the pest eating stakes, with the potential to hoover up a large number of slugs and snails in a single sitting alone. This could be at the back of your veg patch or in relatively hidden corners if your prefer but letting stinging nettles and wildflowers move in enables creatures like the aphid eating hero, the ladybird to thrive and prosper. Ground beetles are incredibly useful predators and like nothing better than some nice stone or old wood under which to hide in between slug eating excursions. Trying leaving a small plank of wood outside and as well as providing shelter for these valuable creatures it also enables you to easily pick off the slugs that invariably decide to also hide underneath. 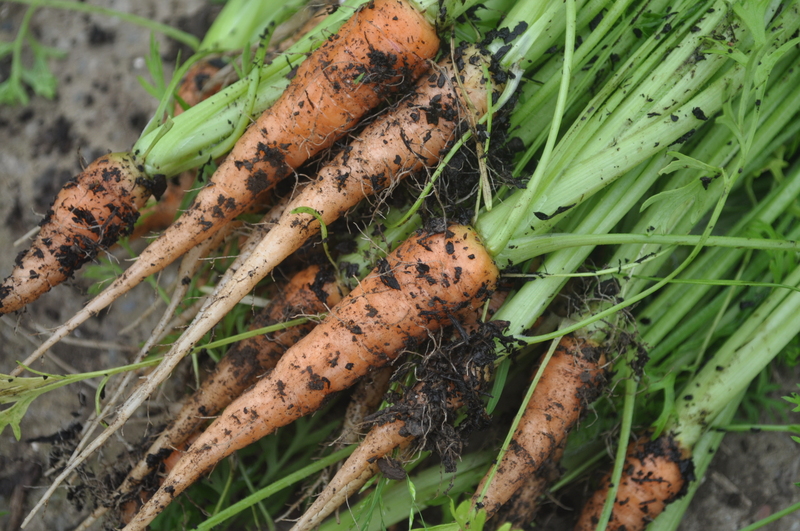 Suffice to say if you plant a big block of carrots together, you might as well put up a sign saying ‘carrot fly, this is for you’. Using mix and match planting, good companions and pest disguisers such as strong smelling herbs or alliums makes your more delicate crops a much less enticing prospect for interloper munching. 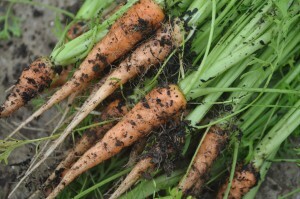 In the case of carrot fly, it also helps to squeeze strong smelling foliage nearby (fennel, onion, thyme and so forth) when harvesting some of your crop as it’s the smell that draws this pest in from long distances. If they can’t smell the carrot, they are less likely to be drawn in in the first place. It’s also advisable to go on slug hunts and pick off the surplus in the evenings when they come out to ‘play’. I tend to throw them to the chickens and ducks in the interests of making some use of these dastardly creatures. Waste not, want not as they say! Although black slugs aren’t as damaging as their other relatives, so unless they’re making a real pest of themselves I quite often I leave them to it. Or I might place them on the compost heap, where they do have a useful role in helping to break everything down.